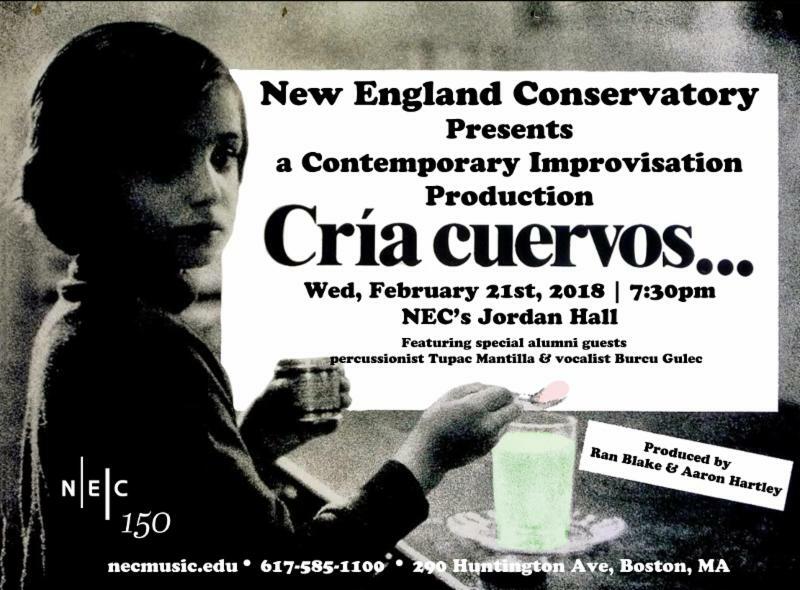 For NEC’s 13th annual Film Noir Concert Series producers Ran Blake and Aaron Hartley meld cult classic Spanish films, Carlos Saura’s Cria Cuervos and Victor Erice’s Spirit of the Beehive. Both films feature a young Ana Torrent (playing the role of “Ana” in both films), struggling through the traumas of an adult Franco era world through the eyes and imagination of a child. For this concert, the stories of both Anas are woven together as she navigates the trauma of her beloved mother’s loss and the death of her father in Cria Cuervos, and conjures up her own fantasy world chasing monsters in Spirit of the Beehive. Working with the original score along with new compositions and improvisations in a wide range of genres, Contemporary Improvisation students and the CI Chamber Ensemble (directed by CI Co-Chair Eden MacAdam-Somer), the NEC Jazz Orchestra (directed by Jazz Chair Ken Schaphorst), and special guests, alumni Tupac Mantilla (percussion) and Burcu Gulec (voice), re-create a compelling soundtrack in real time. Please join us for another year of noir!